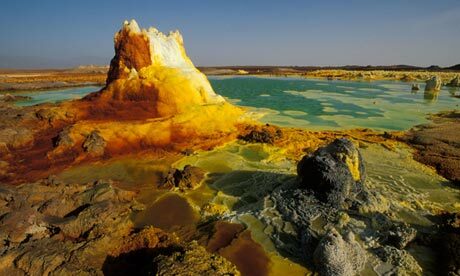 Ethiopia, like its fellow Great Rift Valley countries, has enormous geothermal energy potential. However, the costs involved and the need for skilled expertise have, until now, been major obstacles. In late January, the Development Bank of Ethiopia announced that, over the next five months, it will offer an initial $20m to kickstart geothermal energy projects in the country’s private sector as part of a programme funded by the World Bank. A further $20m is expected to be made available at a later stage. Last May, the World Bank granted Ethiopia $40m to help accelerate the development of renewable energy projects in the country’s private sector. The Development Bank of Ethiopia says it is in discussions with several interested parties and is collaborating with the World Bank. The money will help cover the costs of early exploration and drilling activities. When drilling proves successful, the bank will invite private investors to lead geothermal projects and develop power plants in Ethiopia. Cluff Geothermal – a British company involved in developing Kenya’s first geothermal project, in Menengai – has been shortlisted. As part of the funding agreement last year, the World Bank promised Ethiopia a further $200m to develop the country’s energy market. The renewable energy programme of the World Bank’s climate investment funds – which cover financing geothermal development projects – has been led by the African Development Bank, which has already co-ordinated ambitious geothermal schemes in Djibouti, Kenya and Tanzania. Massive water resources generated in its high plains mean Ethiopia has an estimated hydropower potential of up to 45,000 MW, the second highest in Africa. Hydropower generates 86% of electricity in Ethiopia, a boon for a country with low levels of per-capita access. The risks of overdependence on hydropower, and the need to diversify the country’s energy sources to ensure a stable supply, are understood by the Ethiopian Electric Power Corporation (Eepco), the state provider. Ethiopia’s ambitious five-year growth and transformation plan, which began in 2010, aims to increase the existing 2,179 MW generating capacity at least fourfold. “Studies at various exploration phases have been carried out since 1969 and indicate that geothermal energy could generate up to 5,000 MW,” says Asaye. Younger believes Ethiopia’s impressive economic growth trajectory and development ambitions, largely sustained by hydropower, could be thwarted by the effects of climate change. With droughts increasingly common and rainfall more erratic, the country needs to seriously invest in renewable energy sources such as geothermal, he says.